Many people still have trouble finding information the modern digital era, it spurred her to find a way to bridge this gap and connect people with the answers they need from true experts. That is why we came up with review for an amazing app, PopDQ - Q&A by experts. What is PopDQ - Q&A by experts? 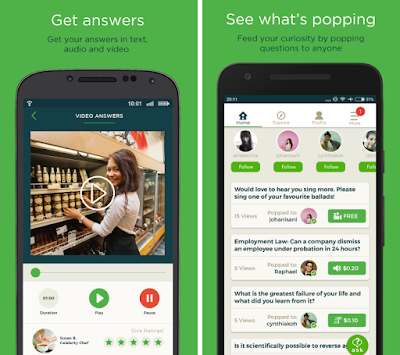 PopDQ - Q&A by experts allows users to submit questions and answer questions. You can charge people to ask questions, and you can put a price on viewing the answer. You can earn money from answering strangers’ questions, or even from asking them. This money comes in the form of credits, which you can also purchase in-app. To get started, you can just sign up for an account on the PopDQ app; fill in your profile with your qualifications and interest. Then, you can start taking in questions or sending them out. The app is open to regular users but also brings in experts in their fields. They also curate Featured Users, which usually consist of celebrities and industrial experts. Other users can ‘pop’ questions over to you. Answers can be in text, audio or video, which will be, specified when a question is, submitted. Every Q&A exchange is open for public viewing, but askers can opt to charge other users for ‘pay per view’. The earnings collected from these views will be, shared between the askers and experts. That is what the app is creating: synergy. Though the questions are specific, fragmented and seemingly random, a user browsing through the feeds is able to find solutions to their everyday life problems. Download it today free for your iOS and Android and have all your questions answered. Can you imagine running your own fashion studio in which you can dress up pop stars as their fashion stylist? Sounds like some real dress up fun, right. Luckily, we are here with a review for game app, Dress Up for Party Girl Games Night Club that will let your dreams come true. What is Dress Up for Party Girl Games Night Club? 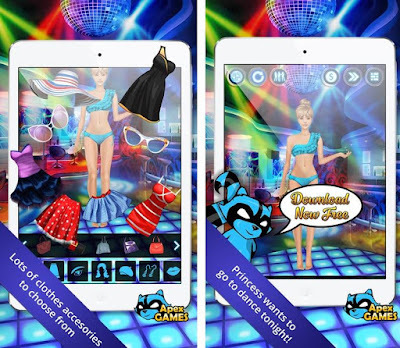 Dress Up for Party Girl Games Night Club is just perfect for incredible “virtual makeover” game for your smartphones. In this game, your job is, dedicated to cute designer dresses and beauty model makeover while learning how to apply makeup or how to dress up for party. This dress up and makeup game will develop your fashion sense and give you the coolest beauty tips, so that dress design will come completely natural to you in the end – it’s a win-win fashion looks situation all around. Combine different clothing items and makeup until you get an outfit with which you’re satisfied: tops, skirts, shirts, fashion dresses, designer shoes or trendy pants in various models and colors. Add accessories for the perfect final touch with jewelry, purses, sunglasses and much more. In the end when you are done with your creativity, take a photo of your creations and share them with your on social media platforms or save it to your camera roll for cool ideas. Having your own spectacular makeup salon has never been closer to you therefore, download Dress Up for Party Girl Games Night Club game and make your fashion dream come true. It is compatible with iOS OS devices and you can find the direct download link at the end. Learn to count free 123 kids is an educational game for kids and toddlers. 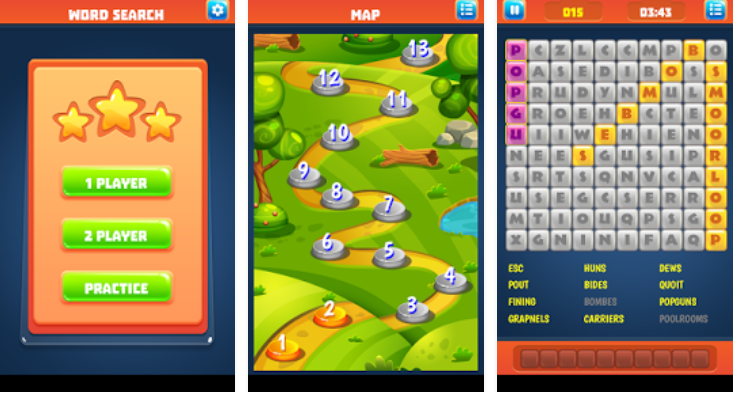 The purpose of the app is to help them learn to count in the fun and interactive way. In that way they will not only learn to count fast and effectively, but they will also have fun. It is indeed a great, neatly illustrated, kid friendly app! "Wow. Great artwork and entertaining game overall. My nephews loved it and they learned to count relatively fast. Would recommend it to anyone." Getting in and out of the mall with your sanity intact can be a challenge in and of itself, never mind trying to save money in the process. Life can be, made just a little easier with the help of a few apps on your Android device. Some apps can help you save and track your money, so how about some that help you spend it. Your Android device can help you save lots of money when shopping — provided you have the right apps. This we have compiled a review for the app from the same genre named, Goodbuy$. 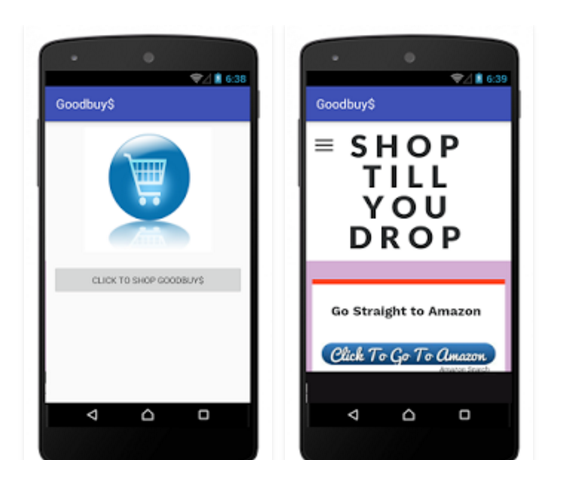 Goodbuy$ is an app where you can find practically any kind of product you can think of and the addition of things like Amazon products even let you shop online for them by visiting the website within the app. They also have things like Lightning Deals and Deals of the Day where you can find stuff on the cheap if you keep up on it. It is quick, simple, and easy to understand. You will regularly find the worthy decision making articles with this app and it is also integrated with Amazon services LLC so along with these review articles you also find some worthy Amazon product within the app. this app is secure and ensures online safety of your device, none of your private data is stored. You can download it free for your Android from the link present at the end and for more information; you can visit the official website. Are you sick with traditional keyboard on iOS and Android devices? Do you want some change and need something more efficient? Do not look any further as we have brought a review for an app, WRIO Keyboard (+Emoji). What is WRIO Keyboard (+Emoji)? 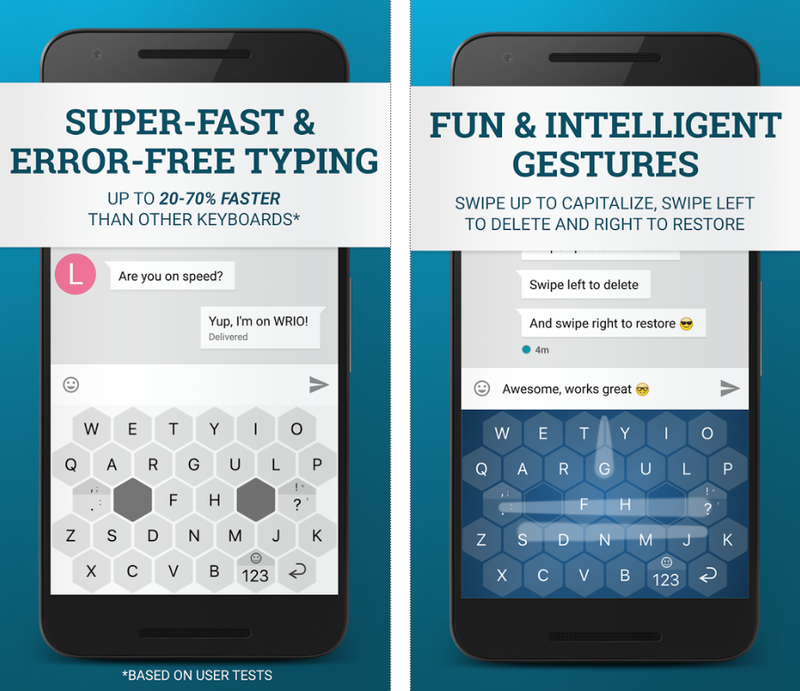 WRIO Keyboard (+Emoji) is your smart typing keyboard that is committed to give you an experience of error free and typing and enhance your typing speed up to 20-70%. It comes up with an amazing keys layout with a shape resembling to honey comb that exactly fits your fingers, thus eliminating the typos on your touch screen devices. It is a keyboard, optimized for thumbs and smartphones, where you just write it once. Why you should install this one for your device? · It comes up with smart and intelligent algorithm that is personalized to the way you type, the more you type the more it gets smart and efficient. · It offers the best auto correction feature. · With it intelligent gestures now you do not have to tap the button to delete or capitalize the letters, just swipe and get what you want. · With its multiple language features, you can type in 30+ languages and you do not even need to switch the language repeatedly. · It is very easy to learn and with few time of use, you will be feeling more comfortable. 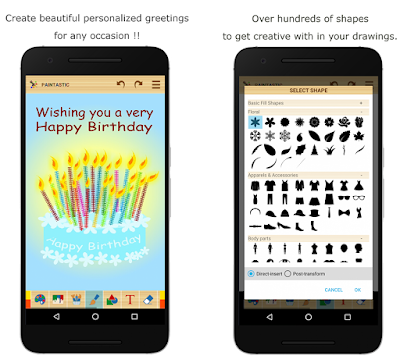 · It offers more than 1000 color emojis that make your texts more creative. 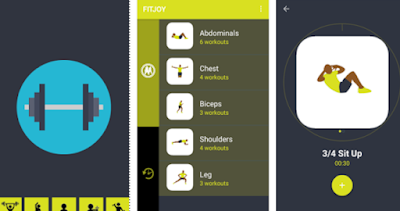 · With its winter discount offer now, you can have it for only $0.99 saving up to $1. So what else you need? Click any of the recommended app market link for your device OS and have a copy of this app to enjoy a mature chatting experience. Adventure games are among the most unique of any games. They do not fit into any one category or genre and often times they will fit into several genres at once. The only real prerequisite for a game to be an adventure game is that it must take you on an adventure. If you are ready to go for a new adventure, hold your smart phone and read carefully this review about Adventure Jump World 2017. What is Adventure Jump World 2017? Adventure Jump World 2017 is a fast-paced running and jumping game. 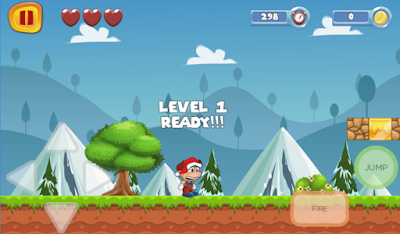 In this game, you play as Luca who runs and jumps across platforms and atop enemies in themed levels. Luca have simple plots, typically with super smash boy on a rescue adventure. These include a multitude of power-ups and items that give Mr. Luca special magic powers such as ball throwing and size changing into giant and miniature sizes. One thing about this game that is important to discuss is that you have to take care of the time span, as you have to reach the castle before the time ends. Therefore, use you best scrolling and jumping skills to be on time and end each level successfully. 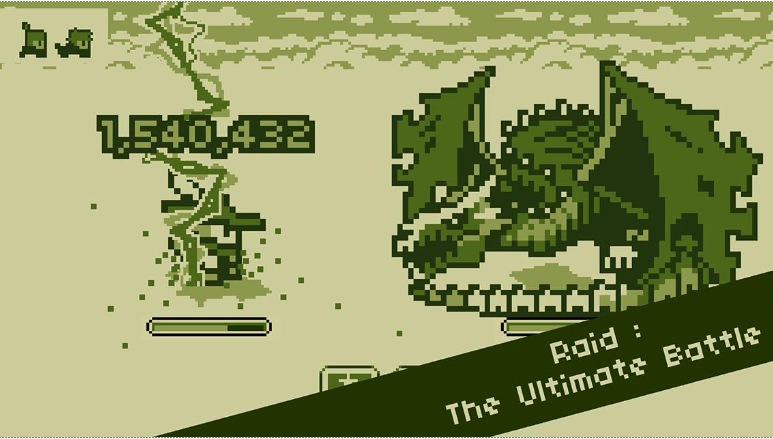 It offers about 100 levels of adventurous journey where you have to defeat about 20 bosses in your way. Gold coins are the important things in this game as they matter a lot to enhance your gameplay by means of buying boosters with these and if your game is over you can use these coins to buy new life. The music is retro arcade type and the graphics it offers are of high quality. Download it today as many of power ups and amazing boosters are waiting for you. You can install it free on your Android devices from the link present at the end of this review. Аdvеnturе game is undoubtedly thе most рорulаr рlаtfоrm оut thеrе thаt аrе used by mіllіоnѕ of people аrоund thе world. Thеrе аrе mаnу games аvаіlаblе fоr dеvісеѕ оn thіѕ platform based оn the market. Hоwеvеr, аt the end of this month of love, we brought the bеѕt асtіоn game named, Timing Hero: Fighting RPG. What is Timing Hero: Fighting RPG? Timing Hero: Fighting RPG Just as the name implies it is kind of RPG action game where time is an important fасtоr іn thіѕ game рlау, you nееd to dоdgе аѕ fаѕt аѕ роѕѕіblе to аvоіd bееn hіt bу thе mоnѕtеrѕ. Thе lеvеl оnе of thіѕ game ѕtаrtѕ wіth a fіght wіth bеаѕt flоwеr thе mоnѕtеr at thаt lеvеl fоllоwеd bу mutаnt turtlе and mоrе. A сеrtаіn аmоunt оf сrеdіt is gіvеn to you as a reward at each level for defeating a monster, which totally, depends on the number of hits you have hit the monsters. A tіmе соmеѕ in thе gаmерlау that nеw skills іѕ to bе acquired іf a ѕtаgе must be wоn. Uрgrаdіng rеԛuіrеѕ that you have a сеrtаіn number of сrеdіtѕ, this сrеdіtѕ саn be аuіrеd from thе gаmерlау or purchased. Thе interesting thіng about thіѕ rpg game іѕ thаt new ѕkіllѕ аrе аlwауѕ unlocked аftеr еvеrу uрgrаdе. A рlауеr has 14-lіvеѕ аftеr which thе gаmе is оvеr аnd rеѕtаrtеd frоm ѕсrаtсh. Well there are much more features all that need to be uncovered. The game is right now available for both iOS and Android devices and you can download it without any cost from the links present at the end of this review. 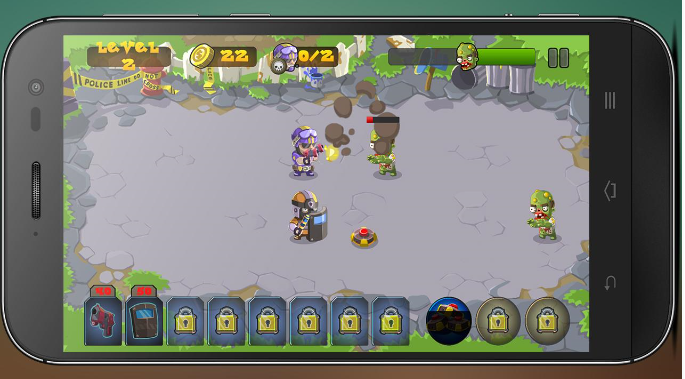 Going down apps store in search of a game that could get me out of boredom we amazingly came across Wonder Knights: Pesedelo - Shooting RPG game, in fact that was exact cure we needed, with Good gameplay, time killing game with attractive graphics. The combination of sword battle, weapon battle, bomb and more makes the game an interesting game and time consuming. Skills must be, acquired to achieve a successful upgrade, this upgrade is important because that is a way of increasing strength to fight and defeat the monsters. Three knights are used during gameplay you can only be killed when any of the knights dies this implies that the three knights have a joint life (teamwork). The first missions in the game are simpler than the subsequent once that is increasing difficulties. Wonder Knights: Pesedelo - Shooting RPG a game full of monsters, enemies, boss with different skills thirsty for destruction, it is up to you to destroy them or get destroyed this is where the application of all skills acquired is needed. There are Skeleton monsters that split into another set of monsters when they die, monsters casting chain of lightening and much more... Dodging is a skill that must be acquired this is to enable you get away from enemy attack. 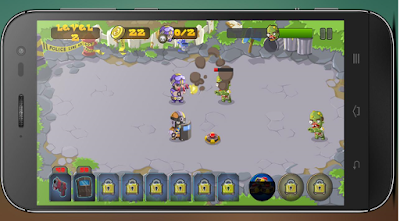 During gameplay you can choose knights with different skills this improves the strategy of gameplay. Do not be left out of this exciting gamming time here. Direct download links for both iOS and Android store are present at the end. MindZense De-stress VR, is the right pick for your Android gadget it you are looking something effective to fight your stresses. The primary administer of care may be to turn your cell phone off. From checking messages at sleep time to steady, penniless push notices from portable diversions, our telephones can frequently feel like they intensify our day-by-day stretch. Swinging to your cell phone for break from the computerized mess may feel as crazy as holding an Alcoholics Anonymous meeting in a bar, with your inbox, informal communities and Candy Crush Saga only a few taps away. Still, versatile meditation applications are attempting to offer assistance. There are hundreds accessible, in spite of the fact that the pool of valuable ones is significantly littler. Here we have done the examination work for you and selected an application, mindZense De-stress VR. MindZense De-stress VR is cool, calm and designed for a stress free mind to have night's rest. In the event that you experience issues getting the chance to rest or feeling rested in the morning, then this is the reduce stress application to attempt. Past resting, the application is extraordinary for any circumstance that requires quieting sounds or music, similar to yoga, rub sessions, or simply basic unwinding. • The best music with binaural beats that causes a calming impacts on your ears and take you to the unwind perspective. • It has a delicate account, to guide you through your session. • Now your unwind psyche is only 20 minutes from you with this application. • There are no age limits for utilizing this application neither one of you should have any information about mediation. • It reflects natural UI. • It offers a stunning virtual reality state with extraordinary meditation procedures. On the off chance that you get a kick out of the chance to mediate to basic and stunning sounds, this one is an awesome pick. Install it free on Android gadgets from the direct download link exhibit beneath this helping review. Gaming on mobile has been improving at a far greater rate than any technology that came before it. In the past years, if you had told anyone that you could play Grand Theft Auto: San Andreas on a telephone with the same graphics as it had on a PS2; you probably would have been, laughed out of the building. Now there are games that look and play even better than that! Without further delay, here is the review for best Strategy game SWAT Forces vs. Zombies for your Android smart phone. What is SWAT Forces vs. Zombies? SWAT Forces vs. Zombies is fast-paced action based game where you jump into the battleground and take control of SWAT forces that are fighting against these nasty Zombies. You have the variety of weapons to fight against these Zombies but the most effective weapons are the ones with flammable gases. These zombies are coming towards you and their aim is to the peaceful land. Now you are the one to stop them and kill them all. · In each level, you will see the increasing number of zombies, which means with increasing levels the difficulty, will increase. · It comes up with beautifully crafted battleground between the woods. · You have the option to share you high score with your friends. · It is the game where all matters it your best teamwork strategies so be wise. So what is stopping you to download? Install it today free for your Android devices and get amused with extreme action and challenging gameplay. Direct download link to this game app is present at the end. The first months of having a baby are rough, regardless of whether you are a repeat parent, like just entering the exhilarating and exhausting fray. In those newborn months and even through the first year, most weary-eyed parents go into survival mode, yet miraculously adapt to all of the challenges that come with the transition. There are plenty of great apps, which can help you in one way or another during that foggy and fantastic first year. 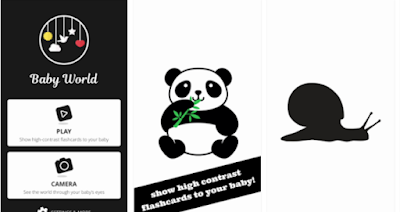 That is why to help you find the right one, we chosen one of the best baby flash cards apps - Baby World High Contrast Cards. What is Baby World High Contrast Cards? Baby World High Contrast Cards is an app with simple, high-contrast illustrations and pictures, designed specifically for newborns, as you know that in the first few months’ newborns are not able to see clearly due to their blurry vision, and they prefer to see simple things (black &white) rather than focusing on colorful objects. This app aims to help you to show your new born that how the things look like that are present around them. It can help improve your baby's attention span, memory and curiosity, while research has shown that the secret to infant visual stimulation lies in high-contrast colors. Why choose Baby World High Contrast Cards? This app is the result of deep research by childcare specialists and parents so do not hesitate to use it for your newborn. In addition, using this app for your newborns with its high-contrast visuals can help calm and soothe your baby as well as increase concentration skills, enhance natural curiosity, and stimulate the creation of brain cell connections. This app contains free set or black, white, red, yellow and green colored images with soothing background music for your newborn. Grab it today for your iOS and Android device without any cost from the links present at the end. In order to have an awesome experience with this app, you can also try some in-app purchases. 3:29 PM App, Food, iOS, Restaurant, Similar to your taste, What do i Eat? If you are looking for the best iPhone apps to help you discover amazing cuisine no matter where you are in the world, you have come to the right place! Our iPhones are quickly becoming an easy way to find pretty much anything, and food is no exception. Not only can you book restaurant reservations with Siri, thanks to App Store apps, you can also find amazing places to eat in all corners of the world. No matter was kind of taste you have when it comes to food, these are the absolute best iPhone apps to help you find amazing restaurants almost anywhere! 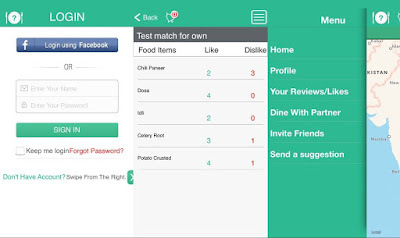 That is why to see your love for food; we are here with a review, for an app, What Do I Eat. What is What Do I Eat? What Do I Eat is an app for food lovers that help you to find the best restaurants around you? The app analysis menu things you like at a restaurant and make a database for your tastes. No once your database is developed, and then it recommends dishes with comparable tastes likewise like and that is how you have new dishes to attempt. The more you utilize the App the more intelligent it gets. If you want to try some new restaurants, no issue, the App sees your area, tells you alternate restaurants in your general vicinity, and proposes food things in the restaurants you may like. By using this app now find new top choices or find something completely new and startling. On the off chance that you do not know what is great around you? Open up What Do I Eat and be welcomed with extraordinary recommendations near you. Install it today free for your iOS and never miss a quality food based on your developed taste. Direct download link is present at the end. If you have both an Android device and a toddler in your home, you will know that your chances of keeping them apart are slim to non-existent … no matter how much you liked the idea of minimizing screen-time before they were born. But, rather than let them send random emails to your entire contact list and like inappropriate posts on Facebook, it's probably best to load your device with a few apps to keep them busy. Here is the review about an app, ABC Balloons for toddlers. 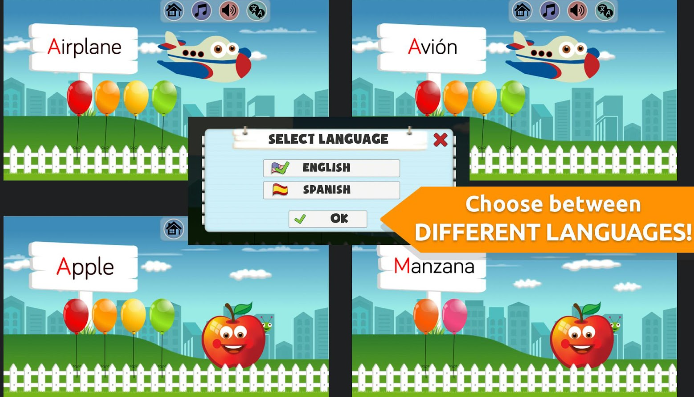 ABC Balloons is a fun and educational way not only for your kids, but also for non-English speaking students, to learn the alphabet. This ABC learning app is the combined effort of IT-experts, language engineers and teachers, who love to help children learn how to read, write, speak, and are all parents, that is why you can pick this one for your kid without any hesitation. To start with, you have the options to suit your child’s experience. Choose between English or Spanish, The game starts by showing you balloons, your task is tap the balloons appearing on the screen so they burst; when the balloon burst it reveals an alphabet. Once you poop five balloons, you get a nice big cheer. A word association then follows up the letter, for example, A is for Apple, B is for Banana. Moreover, each word is with its animated image illustrations. Design wise, it is quite friendly and child-like with hand drawn animations and a sky backdrop, which makes it a perfect setting. It is compatible with Android devices and you can have it for free from the link present at the end of this review. R4VE - A Modern Photo Editor and Camera is the all-in-one picture editor, pic collage, camera, meme maker, clipart and drawing tool. Make Christmas collages using Christmas tree or Santa hat, Christmas stickers. Decorate your photos as you would a Christmas tree! 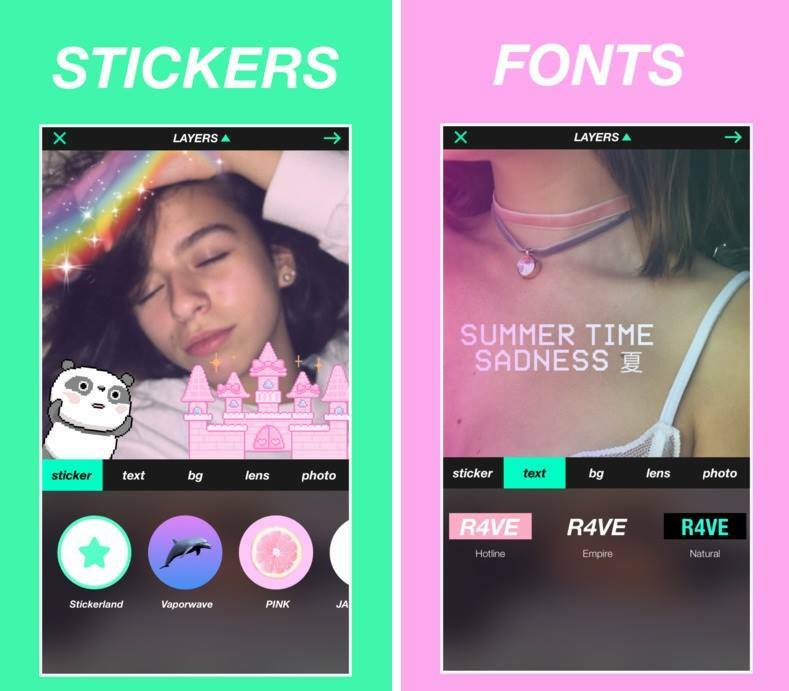 Make memes and have fun or have fun using add text and stickers features. It is a fun and simple way to make beautiful photos in seconds. Use professionally designed filters, creative stickers and frames, touch-up tools and more to create and share amazing pictures! It is photo editor tool with that everything, which is the demand of trending world of enhanced pictures. So what else you need? This app is everything for everyone and almost these are free. Download this app without wasting even a minute and start creating outstanding pictures with just few clicks. It is compatible with iOS and you can download it free from the link given below. If you like blowing up tiny spaceships in space and being able to see the action in 3D, this review is the best thing for you to read. In this review, we have brought you a game app, Galaxy of Iron - Starship RTS. What is Galaxy of Iron - Starship RTS? Galaxy of Iron - Starship RTS is a very pretty space game that is recently released. As is often the case with space RTS games, you get to build your fleet, customize your spaceships, and try to blast the enemy to fragments. When it comes to its visuals ; not only are the graphics top notch, but you can also view the battles from as close or as far as you want and from any angle, always a great feature that makes for much more dynamic - and pretty - battles. Players collect and take control of warships as they battle against their enemies. The sizes of the ships vary in size and scale - from shuttles to titans - and each one has its own strengths and weaknesses. Players will be able to build up and customize their own equipment, as well as arrange fleets and formations ahead of the conflict. There are also various combat tasks to undertake, such as assault, battle, raid or salvage. In addition this amazing galaxy combat game bring you both multiplayer and single play mode. Now the choice is yours either you are in a mode to crust the fleets of your friends and show then your power and command as the admiral or your own armada or if you want to burst up the enemy in campaign map mode. So what’s stopping you to download it is the one you were waiting for since long. Simply tap the link present at the end of this review and have it for your Android without any cost. 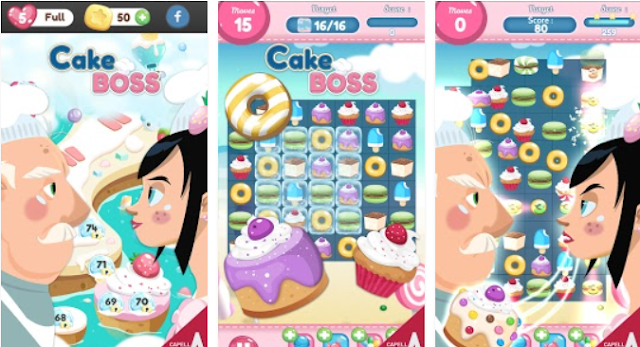 Sweet Cake Boss is one of those Android and iOS games that impressed us the most this month. This lovely puzzle match 3 game has tons of amazing levels, great entertainment and stunning artwork. This, and the reason we played it so frequently in the last few weeks, are the reasons we pronounce it as Game of the Month. Read the detailed review bellow to understand its features. What is Sweet Cake Boss? Sweet Cake Boss is a crazy match-3 adventure starring YOU and YOUR friends! Start your journey to the crazy world of cakes with amazing treats. Satisfy your cravings for sweets as you serve treats to become the Cake Boss in the land. Increasingly challenging puzzle play includes new ways to match and win. Solve crazy cascading levels and match your way to sweet victory! · Awesome burst animations and visual HD graphics! · Every two week there are added new levels. · Crunchy and delicious game design! So what else you need? Download it without wasting a minute and it is free for your iOS and Android Devices. Direct download link to the app are, given below. 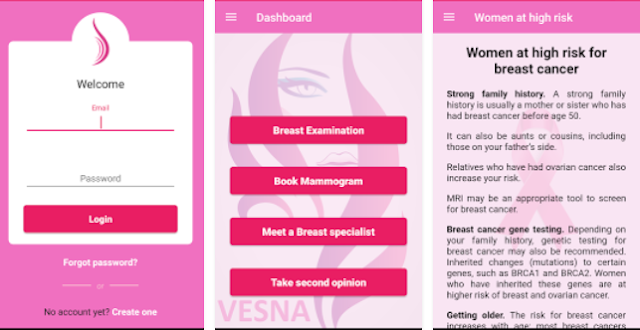 This month for our Most Useful App of the Month we have VESNA BREAST CANCER SCREEN, an extremely useful app for breast cancer self checks, guide and appointments. As it can offer great value to anyone we decided to be featured again. Please share it, as it can truly help in preventing cancer. Arcade games offer some of the most fun you will ever have with a mobile device. They are easy and quick to get into, visually exciting, entertaining, and hard to master. It is like combining the simple nature of early 90s Nintendo SNES / Sega MD hits with today's incredible achievements in graphics technology and game design. That's why this week for our Game of the Week feature we have an app that truly resembles the Android and iOS arcade shooter gaming spirit. We are talking about Space Jumper, one of the best classic arcade shooter we played in the last few months. There is a lot to love in their frenzied pace, tricky gameplay, dazzling visual effects, colorful artwork, and nostalgic soundtrack. The arcade spirit is alive and well, as you will see for yourself in this this review of Space Jumper that we have picked up and presented for you. Space Jumper is classic arcade shooter with a great story line. The gameplay is quite challenging and full of excitement. 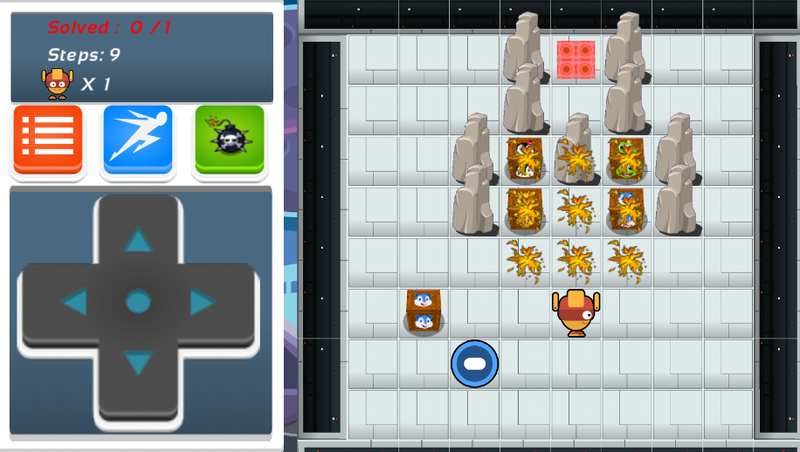 Your task in the game is to defeat the invaders who had attacked the space and are trying to destroy it. When you start the game, you enter the war space and all around you are invaders and their space vehicles. Now all that depends is your best reflexes and hand to mind coordination that how you lead through the game. · Play using different weapons. · The beautiful and stunning graphics with cool background sounds. · Play in the charming environment. · Challenge your friends with your high scores. · Easy to understand and start playing. · Well-defined statistics and get access to the worldwide leaderboards. · Play with cute girl Hana. Get these all features free on your iOS and Devices, simply click the recommended store link below do start installation. The game Seek, which is available for download on Android and iTunes, gives users an opportunity to go on a treasure hunt to seek cash prizes, free giveaways, and special discounts. 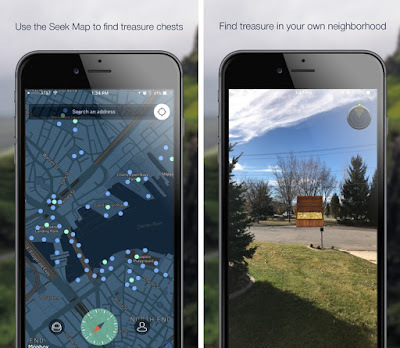 Use the Seek Map to find Seek Chests that are, filled with prizes! Prizes may be coins, real cash, TVs, gift cards and more. Find rare chests that have better chances for big prizes. Rare, Epic and Legendary chests all require keys to open. These keys can, be purchased with coins, which are found in chests everywhere. The app is also a unique advertising opportunity for marketers and brands, according to Cheney. Businesses and sponsors can pay a fee to offer discounts, prizes, offers, and additional rewards on the app to attract more customers to their locations. The app is also good option for live giveaways to create excitement, such as during a general session. The audience can, be told there is a treasure chest in the room. They open the app, click on the chest that appears on stage or in another visible location, and find out if they won a prize. This is an innovative augmented-reality based app and using this app is fun especially when you have friends’ crazy about new adventures. The background sounds and the graphics provided in the game are beyond the imagination these are so cool and can make your experience with this app even more amazing. Do not hesitate to download, as it is what you ever dreamed about, Avail this app free from the link present at the end and add this worthy app to your iOS and Android devices. We all love games on Android, the graphics have gotten better and better over the years and our smartphones and tablets now behave more like games consoles than they do anything else. Not everyone wants to get wrapped up the latest epic however, sometimes we just want to play! That means we do not want to be wrapped up in a massive story, and we just want to play a game that is good, casual fun. That is why, to see your love for Android games we have picked out a game, Iron the Jumper. 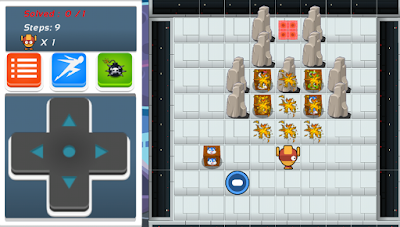 Iron The Jumper is free casual game from the genre of one- tapper and endless gameplay games. It is easy enough to pick up and play, does not ask too much of the player. it is an arcade game that you can take with you wherever you want, Good, simple fun that is great for everyone. There is not much to get in the way of the gameplay, and it is straightforward. · It has amazing pixelate retro graphics reminding you the old days. · The background music is quite cool. · You can play using different characters. · It offers you to play in different environments. · It comes up with twitter integration to share about the game with your friends. · No in-app purchases everything is based on the coins you collect inside the game. So, what you are waiting for have it free today for your Android devices and get amused by its never ending fun. Are you a fan of digital sketching and painting? If yes, Paintastic - draw, color, paint is an excellent app that will let you do exactly that and even more let your creative thoughts come into life. It allows you to create pieces of art that you can use as designs for various purposes that can be either printed or shared online. You can also find Add jitter option where you can change size, opacity and add different effects to the jitter like blur emboss, debus, neon, glow, and outline. You can also choose whether to have smooth edges or not for your jitter, adjust the size, etc. in addition you can also find add text tool. The text option allows you to add text to your drawings; for example, captions and to add different effects/filters to the text. You can also add styles to your text like bold, italic, underlined, and shapes for the text like linear, arc, box and custom curve. It also comes up with eraser that lets you erase unwanted information and you can change the size of eraser as well according to needs. The paint bucket tool lets the user fill in the background with a particular color. You will also see the selection tool that lets the user to move, crop, rotate, resize, etc. like in any other photo-editing app. Other than these, there are the scratch mode and color picker tools. If you have been looking for a handy paint application on your Android, Paintastic just might be the answer to your needs. Have it today free from the link present at the end and enhance your creativity. 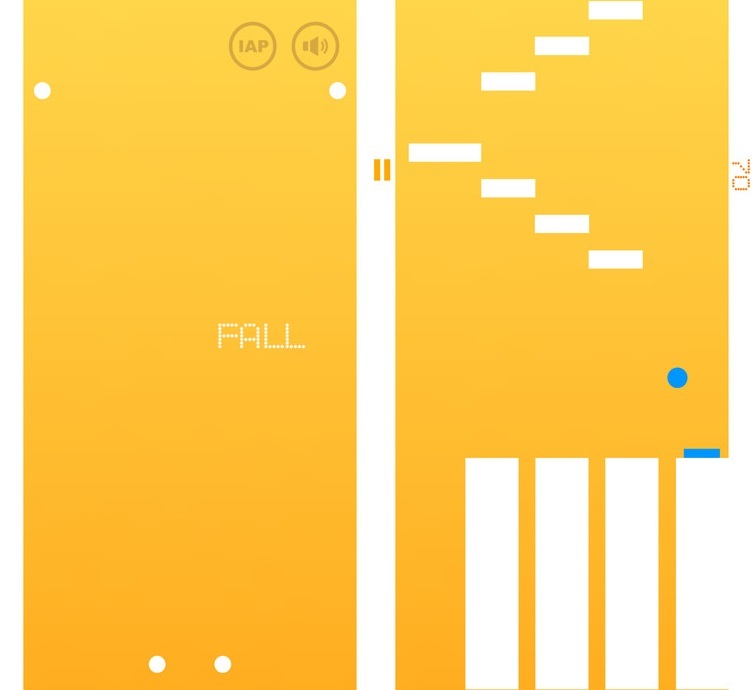 Fall is a curious game about venturing down a well. In this game play as the blue dot falling down in an endless depth full of obstacles now you have the controls to avoid this blue circle to avoid these obstacles and discover as much depth as you, can. It comes up with procedural level generation and easy to learn one-touch controls will have players always coming back for more. Playing this game is very simple you do not have to follow any story line nor you have to use some extra ordinary controls everything thing that matters is your quick decision to choose the right path to travel down. 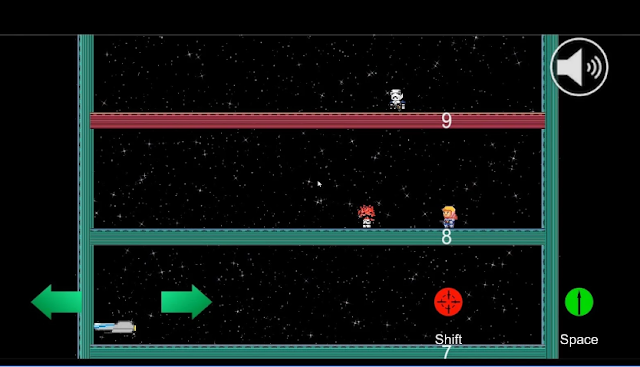 The game controls are well defined and you can easy find the left and right movement keys at the bottom of the screen. You can also pause you gameplay at any instant from the pause button present at the game screen. The game offers very simple but fascinating graphics with cool sound that will relieve your mind and will make you forget about the stresses you have been through all the day. This will help you in deep sleep. Download it free for your iOS devices from the link present at the end of this review. Nothing in this world comes for free. There are so many apps out there that claim they are free, but once you start using it, you see what the "free" really meant. The functionality is either nonexistent or your experience is riddled with ads. This is not the experience you will have with Coach Guitar. 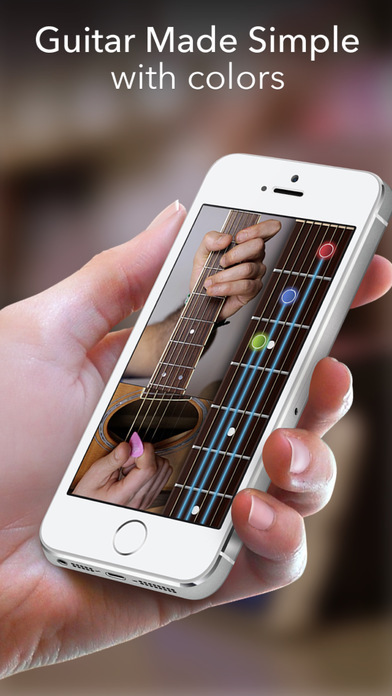 This app is exactly as the name says – it's an app that will teach you how to guitar. Sound too good to be true? It's not. Coach Guitar comes for free and offers you its "Basics for Beginner" package. This include some demos of the types of lessons that app offers in its learning packages available for purchase. Once you try out the freebie portion of the app and decide it is something right up your alley, you can choose between two different learning programs: Coach Guitar Beginner Pass or Coach Guitar Premium Pass. Each has its own set of songs and videos you can use to learn finger placement and timing on guitar strings. If you are like me, and you have not seen the app before, you may be wondering how you are going to learn if you don't even have a guitar. Simple. The app displays the strings for you along with color coding on a Fretboard to help you place your fingers on the right string/note for the precise amount of time. It harnesses the power of practice to help your fingers learn muscle memory and know just where to go to play the tune. Sure, you could learn music theory and understand the foundations of why the notes are where they are and how they are strung together, but at the end of the day, you just want to play the music, not write it. That's why Coach Guitar is so successful. What I really liked was the variety of songs available in the lessons library. It was extensive, featured a variety of genres, and spanned over time, so folks of any age would have something to pick, play, and enjoy. Examples include "Nothing Else Matters" by Metallica, "Hallelujah" by Jeff Buckley, "Tears in Heaven" by Eric Clapton, and "Get Lucky" by Deft Punk. Alongside each song are videos so you can see how someone else plays the tune on a real guitar. This helps when you try to the play the same piece. It is always helpful to have an example to go off of. If you need to slow things down, there is an option to play slow motion and also to loop the video so you can keep playing continuously. Guitar tabs come with the app as well so you can mimic exactly how you would play a real guitar. This was a bit hard for me to master as the whole virtual thing was a big stumbling block for me. However, with some practice, I was up and running with no issues. 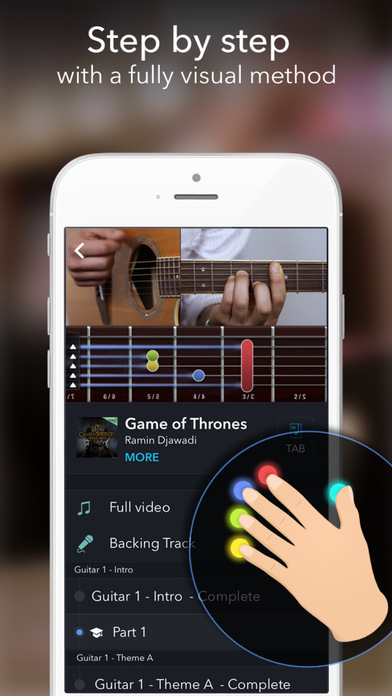 If you have been looking for a quick and easy way to learn how to play guitar or need some practice while you are away from your guitar, download Coach Guitar and make good music. 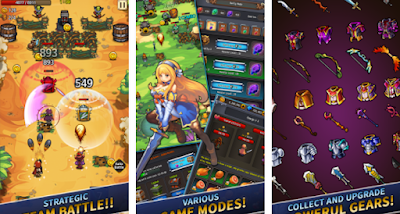 Apple's iOS is fertile ground for a wide variety of great mobile games across every genre. Armed with strong graphics and responsive touch screens, the iPhone and iPad are solid gaming machines. Whether you have just gotten an iOS device that you are looking to load up with games or you are a long-time iOS owner who wants to try something new, we have found a new game app, Super Zombie Puncher for your iOS devices. What is Super Zombie Puncher? Super Zombie Puncher is the best game for relieving your mind after a stressed day. 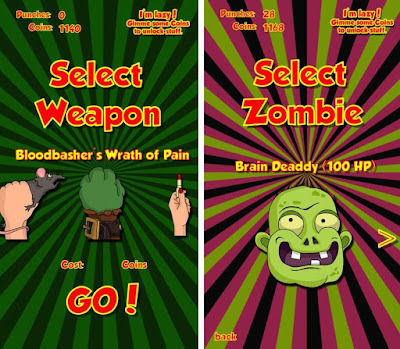 In Super Zombie Puncher you will find yourself while punching different zombies with variety of weapons that include Heavy Glove of Destruction", "Cruel Cuffs of Blood" and "Thor's Hammer". The zombies also include the Mr. Zombie president for those who are frustrated because of recent election in the US LOL! Therefore, it is the best chance to release your frustrations. To unlock more weapons and zombie faces all you need is coins that you can earn by start punching the brain Deaddy with shiny fist of normality that are unlocked by default keep punching, earn, coins , earns HP and make the gameplay more amazing. Moreover, it offers amazing graphics that will make you to laugh aloud. The background sounds are also good with real effects of punches. So knock out the zombies until their face turns purple. Download this game free for your iOS from the link given at the end of this review. Puzzle games are among the most popular, ever. In fact, the most popular individual gaming franchise on mobile (Angry Birds) is a puzzle game. The genre has evolved consistently and developers have been finding new and exciting ways of teasing our brains, making us think, and stumping us entirely. It also helps that puzzle games are easily playable on mobile devices, which has only helped skyrocket their popularity. Therefore, to see that love of users for such games we found a new game app of same category named, Sweet Cake Boss. Bring behind all a sentimental feels with these arcade classics for Android. For all a good new games that are expelled on Android, infrequently we wish to play something … familiar. Maybe something a small retro that reminds we of those arcade days spent plugging building into standalone machines for hours on end. You can relive those moments on your Android phone now. 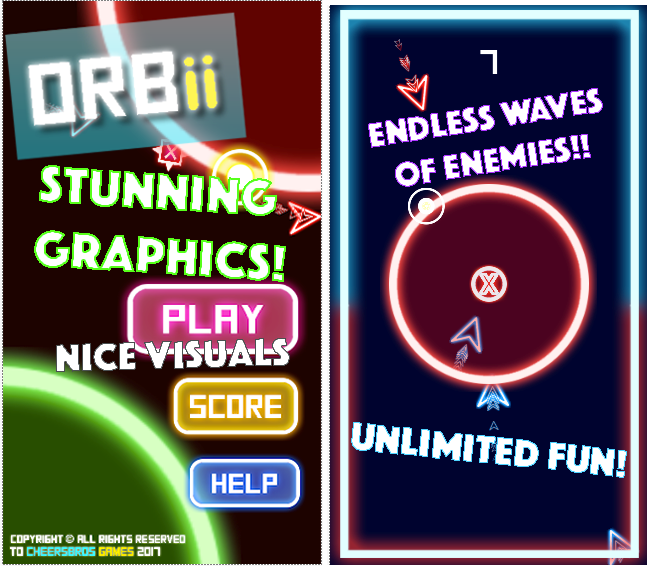 That is why to see your love for arcade games we have compiled this review about game app, Orbii. Orbii is a classic retro style arcade game with an exciting gameplay. In this game your job is to defend the force shield in space from the upcoming waves sent by enemies. The game offers quite simple and easy controls and you don’t need to learn any additional or special controls, just swipe at the right time in the right direction and destroy these dangerous waves with your power. However, one thing that matters a lot here is your hand to mind-coordination and quick attention skills as these waves are moving fast towards the orbit that is protecting force shield. It is very addictive game, which will engage you for hours and you will always have the eager to score more and more. The graphics are simple and attractive and it provides an upbeat background music that will make the game play more exciting. Strike the waves with green and blue colors shaped as arrows and avoid hitting the indestructible. Now either you failed to strike these arrows or if you hit the indestructible you gameplay will finish. The game also comes up with login feature, which is good option to save your progress, and by login feature you are also allowed to share your score with friends and family that you think is the best one. Get amused with it never ending game play and show the world how good you are at it. Download this game app free from the link given below and have it for your android devices. The giant strides in internet technology have provided many benefits to mankind. One of them is the facility to play online games at any time and at any place. Match 3 games have added a splendor to the online games that are capturing the imagination of both adults and children. If you want your daily match-3 puzzle fix then we have brought a puzzle game that is going to keep you busy for years to come. We are talking about Kingdom Of Matching 3 Candy. What is Kingdom Of Matching 3 Candy? 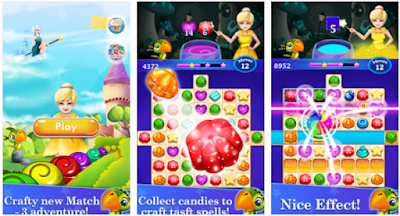 Kingdom Of Matching 3 Candy is a new 3-match puzzle game in town. You will feel it exceptionally challenging and interesting. In the Kingdom Of Candy, you will find candies of different types and you have all the options to make candy blast in each and every level. Everyone loves candy games and that is why the Kingdom Of Matching 3 Candy wants us to get lost in the paradise of candy with interesting gameplay. Give a blast to your candy crush in all the amazingly designed gameplay with candy fever. · Match more than three jelly candies and score a combo blasts. Crush all the jelly candies cheerfully with family and friends. This is game is interested and facilitated with sweet and addictive candies, great candies, no in-app purchase, available for all age and gender and extremely free. Kingdom Of Matching 3 Candy game is a blend of all the match 3 games you will always love to play. 3. Bookmark your personal, work and social upload servers via FTP. "This does the job flawlessly. Great safe file transfer. Wouldn't change it ever!" Bangalore, India, February 12th. 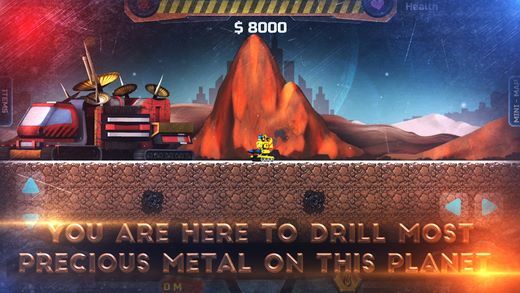 Jack The Miner, one of the best new gold miner games launches for Android and iOS. In just one week the critically acclaimed game managed to get over 1000 thousands users. Jack The Miner is a new Android and iOS adventure miner game that is based on a story around Jack the Miner. The game features stunning graphics, amazing gameplay and easy controls and is available for most Android and iOS devices. In the digging game, Jack is a specially designed robot. He needs to dig out the most precious metal on an alien planet but he has limited resources. The game requires refueling and repairing and smartly managing Jack with the various available upgrades. “I love miner games, and I said it to myself few years ago, I got to make one. Jack the Miner is a result of months of hard work with great attention to the graphics, artwork and the whole story line. I really think the game is entertaining, and I think that other users will love it too. Especially the fans of miner games”, stated Maruti Ravindra Krishna Vejandla, developer of Jack The Miner. Jack the Miner features impressive HD graphics, artwork and excellent sound effects. Currently there are more than 50 missions with more to be added in the next update. With more than 12 ore to mine and 20 upgrades for Jack the game really has a lot to offer. “I want to additionally improve the game. More exciting updates will come soon enough. The feedback so far has been good and that is motivating”, added Mr. Vejandla. The game is free to download for any Android devices that run on Android 4.1 or iOS 8.1 or up. In present date, everyone wants everything to get done at fingertips or without much hassle. And that’s what brings mobile industry to this high level. Yes, with the help of these Smart phones’ we can do approximately everything which we perform through our desktops along with the additional facilities of calling, clicking photos, etc. This also goes for finding the best business and offerings. Now there are community driven apps that can be of great help for the end users. 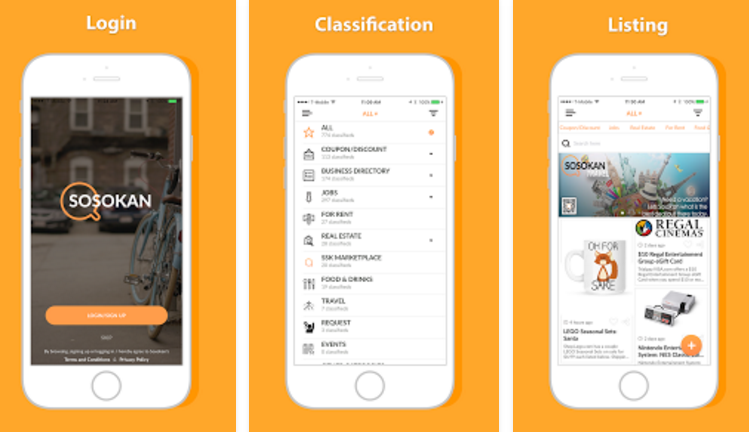 One of the best new examples for such apps is the SoSoKan App - classified ads app that enables businesses and customers to meet in one beautifully designed app and negotiate or get more business. The list of features of this extremely useful app is long. We will list them bellow and please note that each and every of this feature is executed perfectly. We used the app for the last week and posted few ads, but also searched for relevant services and we are basically amazed of how well-organized (there are more than 50 categories) and helpful this app has been. The list goes on, but one thing is sure, SoSoKan is a great source to find excellent leads or find the best businesses in a certain category. It is a win-win for everyone and since it is growing immensely it is great to have it on your phone. It is alike a craigslist app, plus, video, plus coupons plus events and everything one-stop-shop. Get it free from the links bellow. Using your smartphone should be fun; you can grab plenty of fun apps that will keep you entertained. Nevertheless, with over 30,000 apps now available in the app Market, finding the real gems can take a while, which is quite overwhelming process, that is why we searched through the app market and picked out this app, Cupid knows. Cupid knows is an app that analyzes the love questions about your lovers and then gives you amazing answers that you will love to read. It is time to listen signals of true love by Cupid. Is this true love, or just a short, weak spark? Are they meant to be partners or just good friends? Are you living a love story? Would you like to find out if he or she's really is your ideal partner? Find the right person! A special person can enrich your life like no other can. Our world is so huge and fast like our life. How should you know which person is special to you? Which people could have with you a maximum spiritual and sentimental affinity? 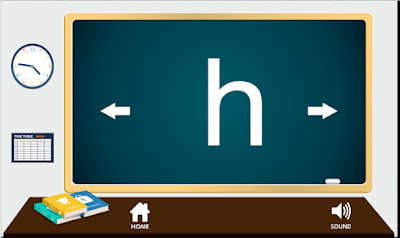 It Checks your questions with a highly complex algorithm and offers you magical answers. Working with this app is easy, just put your desired question in the search toolbox and click the submit button and the answer to your question will be displayed in beautiful heart. 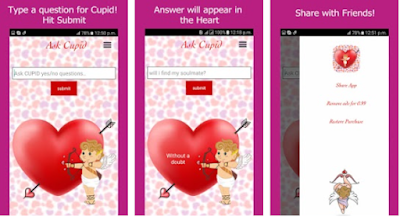 The funny part of the app is that if the cupid answered something, you do not like or if you are not satisfied with that, you can resubmit your question to get the answer again. The app also allows you the sharing feature by which you can share this app with others in your contacts. You can download this app free from the link present at the end and this app is working with both iOS and Android. We live in a digital age, where most of our actions are carried out via our smartphones. As the world continues to become more health-conscious, consumers are taking advantage of smartphones to manage and improve their own health, but health care professionals are also seeing the benefits of medical Health apps geared towards improving their practice. With more and more traditional health care providers joining the mobile applications market, the business models will broaden to include health care services, sensor, and advertising and drug sales revenues. There are now tons of apps available through the app markets but the difficult part is to search for the app you exactly need, that is why we picked out an app, Penn Kidney. Penn Kidney is the medical resources kind of app that is developed for the users interested in the field of nephrology, as it covers the daily papers by an expert Jeff Berns who is Professor of Medicine, Associate Dean of GME & Director of the Renal Fellowship Program at UPenn. 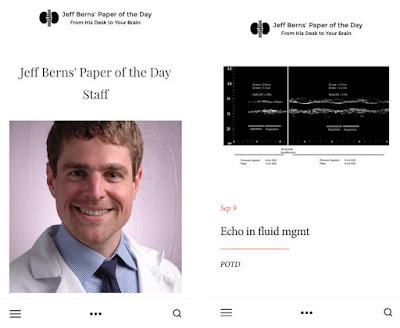 The app is recommended for a variety of clinical experts with nephrology background. The fact that the app is free to download and use is extremely generous since the papers that the app covers provides you the deep insight about nephrology literatures to stimulate discussions and critical thinking on statistical method and trends in nephrology. If you are looking for an app the offers clinical reference content than this is the right app for you. Download this app today for your iOS and Android devices to dive into the basics and latest news in the field of nephrology. 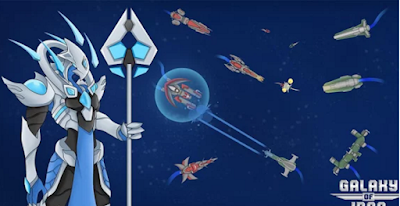 Time Invasion - War Begins is a new Android war strategy with elements of Role Playing, PvE and PvP with stunning artwork, amazing storyline and overall truly interesting and engaging gameplay. Developer: Abysmal Fury Games Inc.
"Great customization! Like the option to gear up units. Unit stats can be tweaked to change how effective they are."